The IT industry is growing rapidly, and it’s only set to continue growing. The Information Technology (IT) industry involves companies using IT technology such as computer hardware, software, electronics, semiconductor, internet, telecom equipment, e-commerce and computer services. There are well known companies such as Apple Inc., Amazon.com, Samsung Electronics, Microsoft, Sony and the list goes on. According to a report on Employment Trends that was brought out by SEEK last year, it was found that the IT industry is one of the highest paying jobs in Australia. Compared to other career options like finance, marketing and accounting, the average salary per person exceeds these traditional jobs. 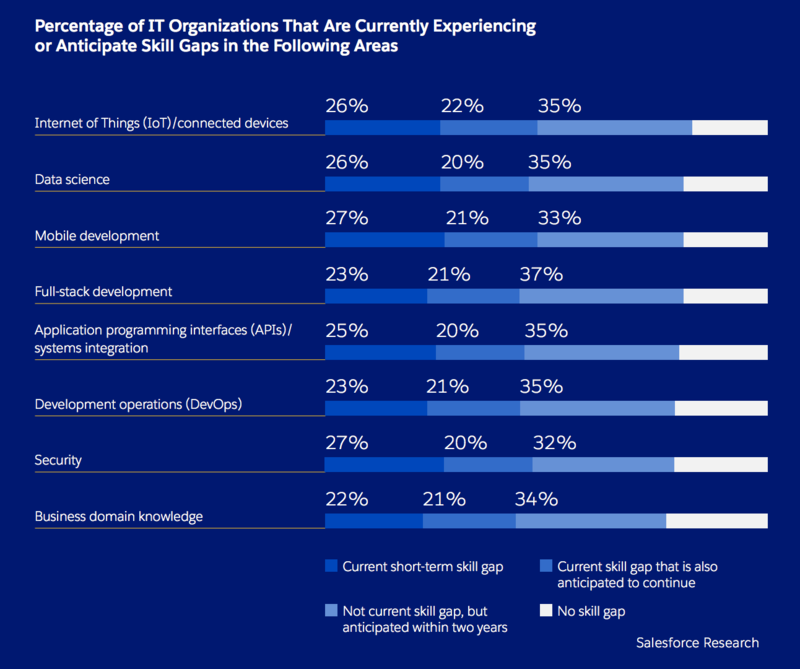 According to the 2017 second annual report from Salesforce, it was found that “70% of consumer say Technology has made it easier than ever to take their business elsewhere, and 58% agree that tech has significantly changed their expectations of how companies should interact with them”. IT jobs are all about the need to upgrade all services to continuously be better and meet the expectations of society. How do we do this? By upskilling to understand the new trends and changes of the industry. If the IT industry is where you'd like to end up, you can expect affordable income and exposure to exciting advancements in technology. To continue being successful in this field, it's important to continue upskilling. Like any industry, there's always changes and improvements happening every day so it's important to be aware of these and be on top of them. Click here to read more about our degrees in IT.